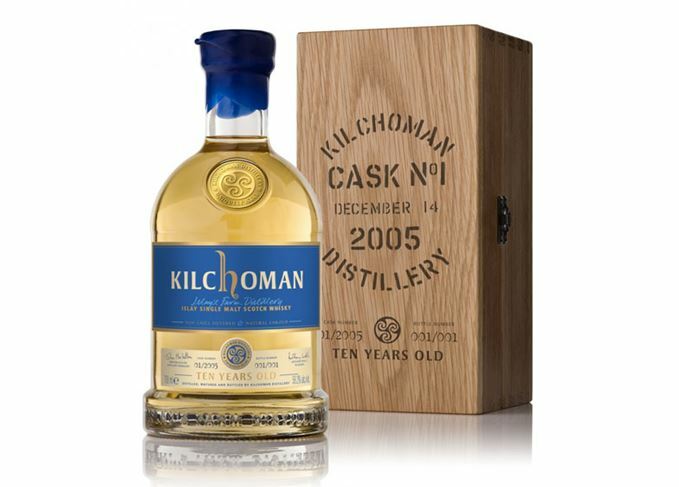 Kilchoman distillery has sold the first bottle of its 10 Year Old whisky at auction, raising £7,000 for charity. Just one bottle of Kilchoman Cask No.1 has been produced. The unique bottle of Kilchoman Cask No.1, containing whisky drawn from the first cask laid down at the Islay distillery on 14 December 2005, was sold earlier this week to raise money for The Beatson Cancer Charity. The expression was hand bottled by Kilchoman founder Anthony Wills on 14 December 2015 – precisely 10 years after its distillation. Wills said the bottling was created in celebration of the distillery’s milestone year. ‘It’s been quite an experience for those involved, and to be here celebrating 10 years of Kilchoman and with the recognition we’ve received around the world for what we’ve achieved, is something,’ he said. The auction, which ran from 7-14 December, was open to bidders around the world through the distillery’s website. The Beatson Cancer Charity was chosen as the beneficiary in support of Kilchoman distillery manager, John MacLellan, who is living with prostate cancer. Wills added: ‘While our neighbouring distilleries have been celebrating far longer periods in the industry we wanted to acknowledge 10 years of Kilchoman and also raise some money for a very worthy cause which has become close to the whole Kilchoman team’. The distillery anticipates a regular bottling of Kilchoman 10 Year Old is ‘still a few years off’ as stocks are extremely limited. It’s taken Kilchoman more than 13 seconds, but a measured approach like Conor McGregor’s is working. Kilchoman’s founder explains how he could have lost everything chasing an Islay distillery dream. All aspects of the whisky-making process, from barley to bottle, take place on site. The Islay distillery’s Sherry-influenced malt will form part of Kilchoman’s core portfolio. Dave Broom shares a taste of Islay this week, as the 2017 Fèis Ìle gets under way.